One of these things is not like the others! One of these things just doesn’t belong! There are 6 buttons on the module which can display a variety of different things or can display a variety of different things whilst hovering over them. 5 of the buttons satisfy a specific property, and 1 does not. Press the button that does not satisfy the condition to move on to the next stage. Once 5 stages have been completed, press the button that has had the correct answer a unique number of times to solve the module. If an incorrect button is pressed, a strike will occur, and the module will reset to stage 1. Stages and displays* do not change. The correct button has the symbol which does not appear on the same 3D Tunnels plane as the other five. Each button displays a surname or forename from Benedict Cumberbatch; correct answer has the set of prefixes and suffixes which is impossible to create on the module. Each button displays a flag of a country. The flag of the country where it’s name doesn’t start with the starting or ending letter as the rest. The flag of the country which does or does not contain the letter ‘e’. Each button can display a letter using a selection of different encoding methods from other modules, including Braille, Lombax, Maritime Flags, Morse Code, Pigpen, Semaphore, Standard Galactic Alphabet, Zoni, and numeric position (decimal or binary). A different letter to the other five. A letter which, when removed from the other five in reading order, creates a word. Each button has a color and displays a name. The correct button has the color where when converted into a hex color code, the red, green, or blue value is different from the rest. Each button will display an item from either from Grocery Store or Cheap Checkout. The correct button displays the item from the other module. The letter which when all letters are converted to their numeric equivalents and put in ascending order, does not match the interval of the others. The letter which is not part of the word when the letters are decrypted using an Atbash cipher. The letter which is not part of the word after the letters are decrypted using a Caesar cipher with a key of 13. The letter which when translated into Morse Code has its first two symbols different from the rest. The letter which when converted into a Maritime Flag does not contain a color which the other 5 share. The letter which when converted into Semaphore does not contain a flag position which the other 5 share. The letter when converted using a Pigpen cipher have a dot where the the others do not or does not where the others do. Each button displays a musical note. 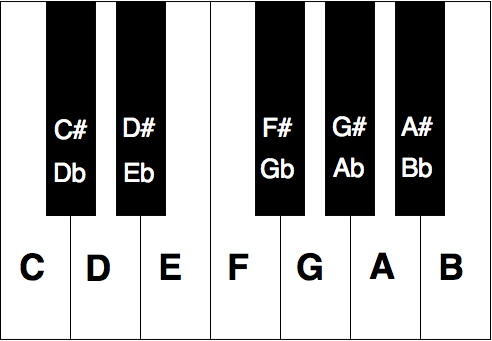 The first 5 notes of a major scale will be shown. Press the note not in the major scale. *Note that what displays may change but the note itself will stay the same. The number which has a different modulo output with the base of 4, 7, 9 or 11. The number which has a different digit count than the others. The number which has either a different number of lines or a different number of dots when written in Zoni. The buttons display six different colors with almost sequential numbers; the correct button is the color which, when placed in ascending number order, does not appear in the correct position with regards to the list of colors in the Simon Speaks manual. Each button displays an elemental symbol. An abbreviation for an element that does not exist. An element which is in a different column/row than the other 5. Each button displays an image from Question Mark; the correct button has the image which is not in the same row as the other 5 in the Question Mark manual. Currency codes from both Flags and Foreign Exchange Rates. Company codes from The Stock Market. Correct is the button which displays the invalid code. Each button displays a two-letter US state abbreviation; the correct button has the made-up abbreviation. Each button can display one from a selection of six words from the modules Anagrams, Braille, Extended Password, Password, Poetry, Tap Code, Word Scramble, or Word Search. The correct button displays the word which is from a different module to the others. Each button displays an animal from Zoo; the correct button has the animal which is not in line with the other five. Is where you turn a letter into a number by finding which position it is in the alphabet. (A=1, B=2, C=3... X=24, Y=25, Z=26). Is where you take a letter and convert it to its opposite in the alphabet. (A=Z, B=Y, C=X... X=C, Y=B, Z=A). Is where you take a letter and move forward a certain amount in the alphabet using a specific number called the key. Caesar cipher with a key of 13 is also known as ROT13.